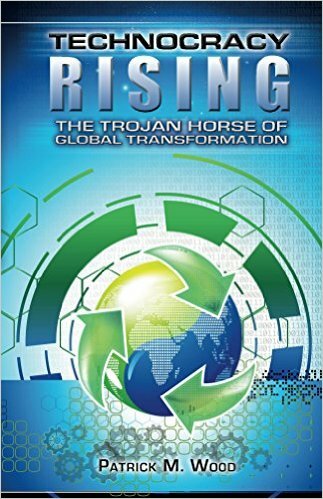 The gathering storm of economists and lawyers that are going to help the banking cartel get even more control over you by controlling your money is getting larger and darker. Yet, still no plan on Fannie, Freddie, and FHA. 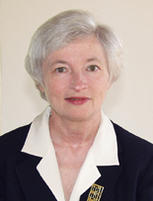 Janet L. Yellen took office on June 14, 2004, as president and chief executive officer of the Twelfth District Federal Reserve Bank, at San Francisco. Dr. Yellen earlier took leave from Berkeley for five years starting August 1994 when she served as a member of the Board of Governors of the Federal Reserve System through February 1997, and then left the Fed to become chair of the Council of Economic Advisers through August 1999. She also chaired the Economic Policy Committee of the Organization for Economic Cooperation and Development from 1997 to 1999. Dr. Yellen is a member of both the Council on Foreign Relations and the American Academy of Arts and Sciences and a research associate of the National Bureau of Economic Research. She also serves on the board of directors of the Pacific Council on International Policy, and in the recent past, she served as president of the Western Economic Association, vice president of the American Economic Association and was a Fellow of the Yale Corporation. Dr. Yellen has written on a wide variety of macroeconomic issues, while specializing in the causes, mechanisms and implications of unemployment. Janet Yellen, president of the Federal Reserve Bank of San Francisco, is expected to be nominated by President Barack Obama as vice chair of the Federal Reserve Board. Ms. Yellen, 63 years old, has served as a Fed policy maker for almost a decade between her stints in Washington and San Francisco. In her time as a Fed policy maker, Ms. Yellen has never cast a dissenting vote on policy — in either raising interest rates or lowering them. She has voted 36 times as a member of the Federal Open Market Committee, always with the majority, according to a tally by Wrightson-ICAP. Of the 12 current regional bank presidents, five have dissented at least once. Of current FOMC officials, only three have cast more votes on interest-rate policy in their careers: Vice Chairman Donald Kohn (63 votes), Kansas City Fed President Thomas Hoenig (60 votes) and Chairman Bernanke (56 votes), according to the Wrightson tally. Does anyone still think we need a central bank that is really a private banking cartel draining us of every last penny through interest payments? What happens when these parasites start raising interest rates, as they must?